Daily news and other information from the city made famous around the globe by the "Maidan Revolutions". We arrived in Kiev (Kyiv) on December 28, 1990 from Morristown, New Jersey, USA. This was back in the days of Perestroika and before Ukraine gained its independence from Moscow, in 1991. We lived in both Kiev and Odessa, Ukraine. After 20 years in the "Workers' Paradise" we returned to the United States of America. Kiev, the capital of Ukraine, is one of the more charming cities in Europe. This 1500-year old city, with a population of nearly 3 million people, is a leading industrial and commercial center of the country. This blog is a public service, for anyone interested in the political, business and social climates of Ukraine. Information is gathered from numerous international and local news sources, and updated 24/7. You are encouraged to leave comments on this blog, but you must have a free Gmail account. Ukraine Crisis: Will The Drumbeat Lead To War? KIEV, Ukraine -- Russia under President Vladimir Putin has become a kleptocracy. The Russian president governs an economy controlled by insiders who pay him homage and royalties in return for favors. The takeover has been rapid and, in less than one generation, Russia’s oligarchs have amassed some of the biggest fortunes in the world. When Putin took power in 2000, Russia was in economic turmoil following the banking crisis of 1998. Russia’s class of oligarchs—political operators who became billionaires practically overnight in the 1990s—exerted immense control over politics. KIEV, Ukraine -- The launch of Ukraine's new police patrol force last year sparked an internet craze of citizens posting selfies with newly recruited officers. 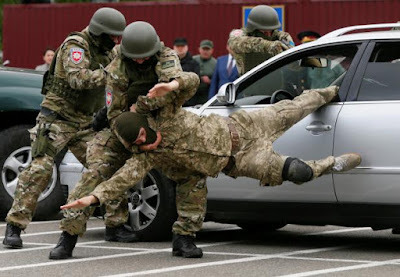 Members of the newly created special police team KORD take part in a demonstration as part of a ceremony to commemorate finishing their training course at a base outside Kiev, Ukraine, May 6, 2016. Their popularity stemmed not from their uniforms, body cameras and tablets, but the fact they did not demand bribes. The most visibly successful reform to have emerged from the pro-European Maidan protests in 2014 is now under threat, serving and former law enforcement officials say, accusing vested interests of seeking to obstruct and discredit the force. Vladyslav Vlasiuk, a lawyer by training who rose through patrol police ranks to become Chief of Staff of the National Police, quit in March, "exhausted" by the pushback against change, he told Reuters in his first media interview since. KIEV, Ukraine -- On March 17, Ukraine’s oligarch-owned propaganda TV channel Ukraine Today announced to the world a milestone in the fight against corruption. In response to the solicitation of two Verkhovna Rada parliamentarians (members of president Petro Poroshenko’s cabinet), the Ukrainian General Prosecutor’s Office (GPO) initiated an investigation of the missing two million dollars of U.S. and EU aid that was originally allotted to reform the country’s judiciary. 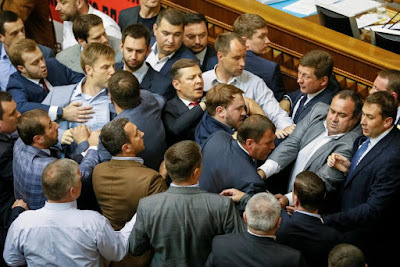 While two million dollars is chump change in comparison to size and history of Ukrainian corruption, such quick action by the (until now) very shy Ukrainian prosecutors has raised eyebrows in political circles around the world. 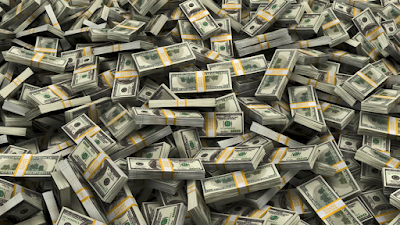 This is in sharp contrast to 2014, when in one of the biggest heists of aid money anywhere—an estimated two billion dollars in IMF aid for Ukraine—speedily exited the country via PrivatBank, owned by the politically-connected oligarch Ihor Kolomoisky.